Wireless charging still hasn’t really caught on, but that may finally change with a little help from an unexpected source. 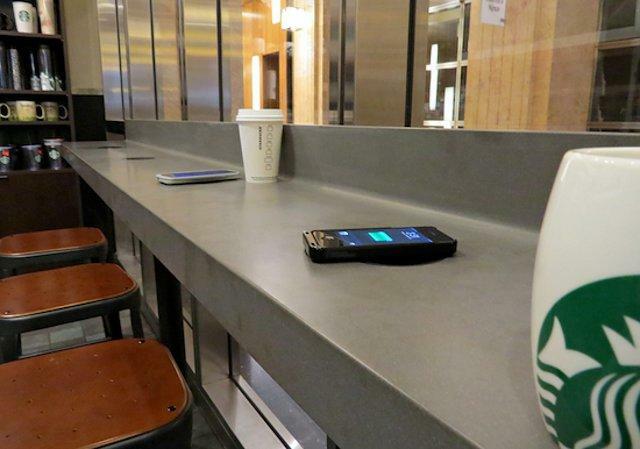 Starbucks announced today that it’s partnering with Powermat to install 100,000 wireless charging stations across the U.S., and around the world in 2015. The rollout begins this year in San Francisco’s Bay Area and Silicon Valley, before expanding to the rest of the country along with parts of Europe and Asia. Powermat, which uses a charging standard set by the Power Matters Alliance (PMA), will be installed in tables at Starbucks and Teavana (a tea store owned by Starbucks) around the world. On the surface of some tables you’ll soon see a small black circles. 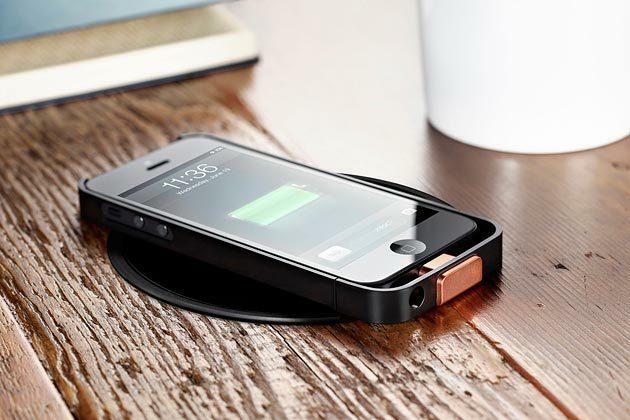 Place a compatible mobile device on the circle and it will automatically start charging. The rollout follows a 2012 pilot test based at Starbucks locations in and around Boston. For now the list of Powermat compatible smartphones is somewhat limited. You can pay $35 to swap your AT&T Galaxy S5’s back panel with a wireless charging shell. The PadFone X supports the technology, as does Sprint’s Kyocera Hydro Vibe. 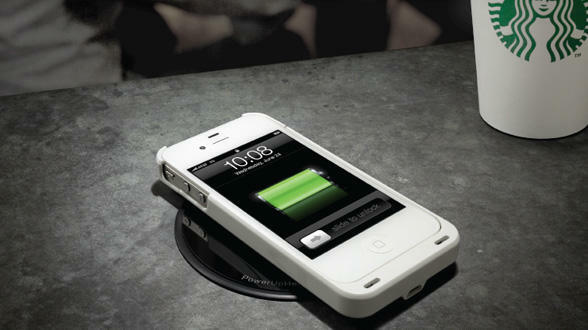 Even Apple has thrown Powermat a bone, selling special Duracell-made iPhone cases through its online store. With Starbucks backing Powermat, the PMA believes it may finally be able to put an end to the standard wars that have kept wireless charging from crossing into the mainstream. Powermat President Daniel Schreiber notes that Starbucks helped cement Wi-Fi as the dominant standard back in 2001 when it rolled out wireless Internet at stores across the country. Since then Starbucks has only gotten bigger, and Schrieber is confident it can help guide how our technology evolves yet again.